Its beautiful display and intriguing peripherals grab your attention, but this is more workstation than PC. 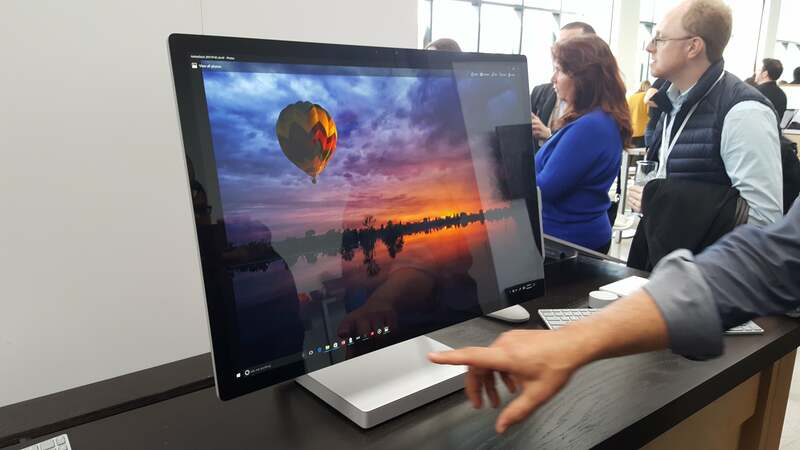 Microsoft’s Surface Studio charges aggressively into territory once held by Apple, combining an elegant design, a massive, lovely display, and an eye-popping price tag. 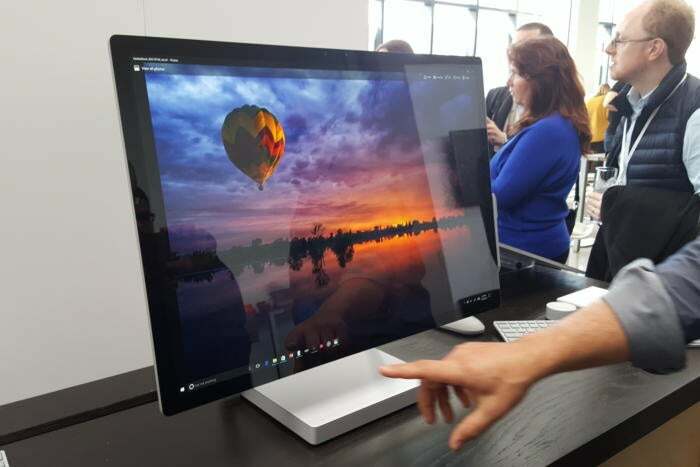 We had a chance to try the company’s first-ever desktop after it was announced Wednesday morning. Here’s what stood out during the demo. Although the specs fall slightly short of state-of-the-art, everything felt extremely fast and responsive. The base $2,999 offering includes a 6th-generation (Skylake) Core i5, an Nvidia GeForce GTX 965M 2GB GPU, a 1TB hybrid drive, and 8GB of memory. At the highest end, the $4199 model includes a 6th-gen Core i7, 32GB of memory, and a GTX980M GPU, along with 2TB of storage. A fantastic display is what’s going to grab your attention first. 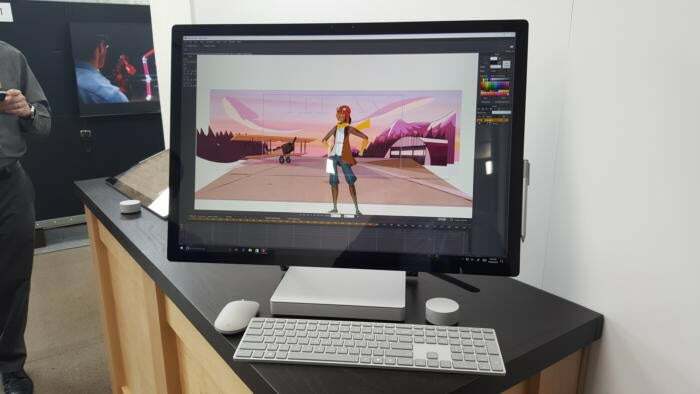 What I like most about the Surface Studio is how it pivots, literally, from a single-purpose workstation into an easel for artistic creation or sharing. A pair of hinges gracefully lifts the massive 28-inch, 4500x3000 PixelSense display from a nearly vertical position to about 20 degrees off the horizontal. The display itself offers Adobe sRGB and DCI-P3 color settings, individually color-calibrated. If there’s any drawback, it’s that the monitor itself lacks any other positioning feature. There’s no way of raising it higher, save for propping it up with a book or stand. Though it’s designed for creativity, I found one pleasing productivity aspect: When in monitor mode, the display was large enough and detailed enough to allow for four snapped windows in each corner. True, you can do this with any display attached to a Windows 10 machine. But the Studio display’s vast real estate actually makes this practical, with little in the way of visual compromise. 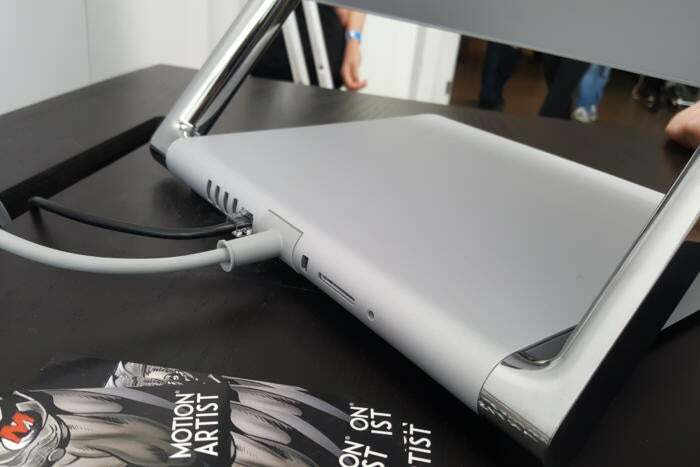 The Surface Studio reclined, in “tablet mode”. I found it comfortable to sketch upon, at least for the short periods I tried it. 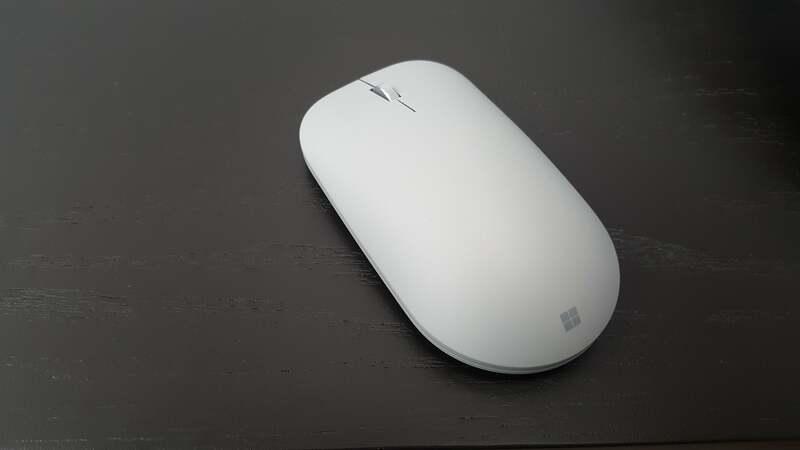 The Surface Studio ships with a standard Surface Pen, plus an updated Microsoft Sculpt mouse and keyboard, wrapped in Surface gray. I’m lukewarm on the peripherals (though you could certainly replace them with your own hardware). 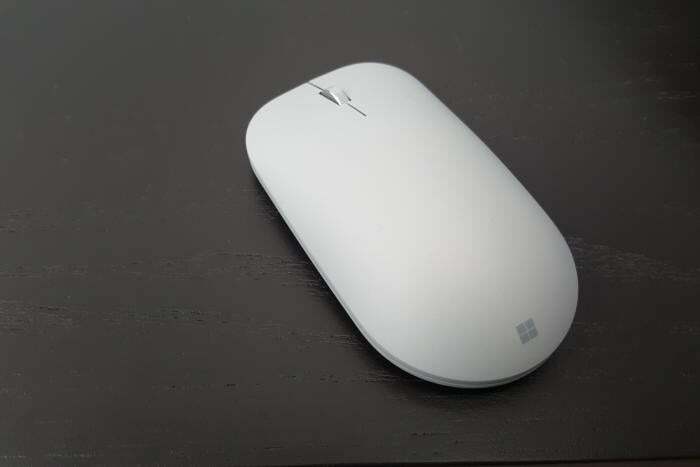 The mouse felt flattish, versus the smooth curve I prefer. 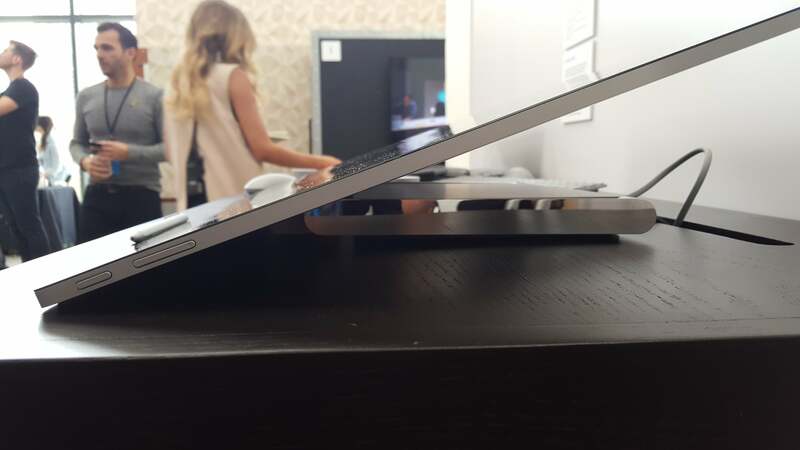 I was also hoping for a keyboard a bit more like the Surface Book's, rather than the chiclety feel of the Surface tablet's detachable keyboard. They both felt like flimsy cupholders on a luxury automobile. The Dial, though, is intriguing. A $99 optional peripheral, the Dial augments the mouse and keyboard with quick, easily accessible shortcuts packaged in something that looks remarkably like a hockey puck. I’ve detailed my impressions in a separate article. While the Studio doesn’t include the modular functionality that was hinted at in a patent filing, it does include a 5MP front-facing camera and a dual-mic array. Orally triggering Windows 10’s Cortana assistant (“Hey, Cortana!”) worked surprisingly well in the crowded demo room. I didn’t try the camera. 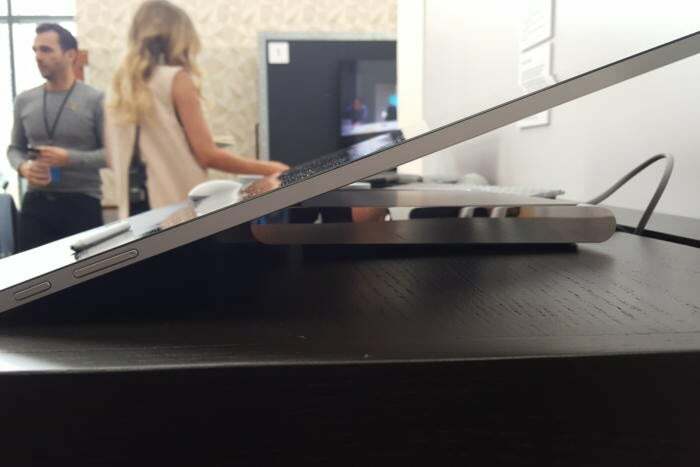 Microsoft says that front-facing ports would have interfered with the zero-gravity hinge. It’s still obnoxious, though. I’m not sure I like Microsoft’s decision to package its expansion ports inside the base. Microsoft essentially took its Surface Hub and tied it to a standard motherboard, encased it in plastic, and called it a day. 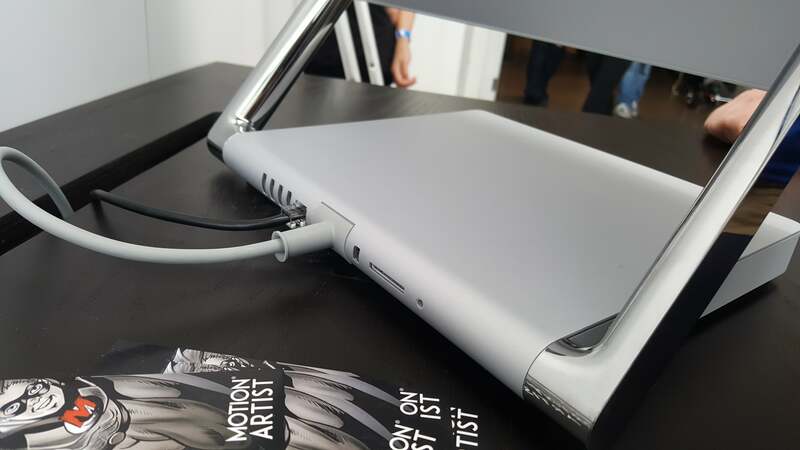 The Studio puts four USB 3.0 ports inside the base, but points them toward the back, probably making it a pain to plug in anything. There’s an SD card reader and a headphone jack—again, facing the rear. Unlike the Surface tablets, there’s no USB port on the side of the monitor, which I rather miss. Bluetooth 4.0 and 802.11ac Wi-Fi complete the package. The Studio is a lovely piece of hardware, and I can’t wait to spend more time with it. But remember, it isn’t necessarily for you or me. Microsoft is clearly aiming this at the creative community who normally would buy a Macintosh. I’ll be interested to see how many actually make the jump.